Women on India's 70th birthday have a new maternity policy and definitely a new dream- a dream to have it all. Indian women are reaching a new pinnacle of success, globally, and it brings us immense pride not only as women but also as Indians to see them sore high. Anuranjita Kumar is one of such women- a name and success story- every woman wants to earn herself. But the question that lingers on, as asked by Ms Kumar herself- can women have it all? Though her book 'Can I Have it All' is not limited to women only, there is a strong message for all who 'want the cake and eat it too'. My colleague Rovin and I met Anuranjita at London's Churchill hotel on a hot summer afternoon. 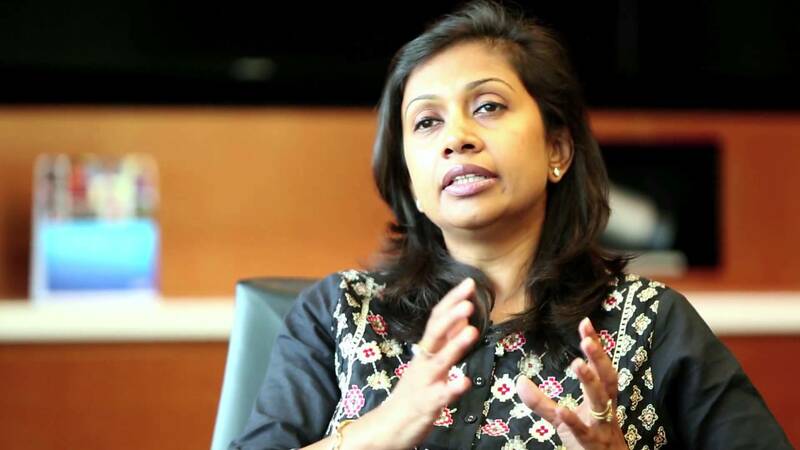 Anuranjita is the Chief Human Resources Officer for Citi South Asia. She has worked across Asia Pacific (APAC), Europe, Middle East and Africa (EMEA) and USA. In 2007, Anuranjita was the first South Asian and woman leader to be appointed Head of HR, Global Banking EMEA and was recognised as amongst the 'Most Powerful HR Professionals of India', by the World HRD Congress in 2012 and amongst the 'Most Powerful Woman Leaders' by Fortune in 2013. The title of the book itself raises many questions. What do one mean by 'having it all'. Is the term relevant and equal for everyone? While Anuranjita calls it 'personal and relative', the underlying factor remains that women even today, at any point of success, continue to question their place in the world as an achiever. The guilt of failing the family or career, the self-doubts over difficult decisions- we are always torn between the two. But is there a key to having a real work life balance? What are the factors that led her to success? Anuranjita actually negates the cliché and attributes her work-life balance to having a great family network- a supportive husband, parents, parents in law- everyone 'who could encourage you and lend a helping hand to keep it all together'. “When I travel, my husband fills in my shoes quite efficiently. Children sometimes suffer from separation anxiety, but he is around when I can't. And it's a great team effort,” she added. And what is her message to us all through this book? “I want to encourage women everywhere to live their life with courage, conviction & confidence. “Going up the corporate ladder anywhere in the world is not easy- neither for men nor for women. It takes a lot of courage, challenges and sacrifices- and one needs to remain focussed and passionate about their long-term goals. The beginning is perhaps not always as you wish it to be. Anuranjita's journey had also started with enrollment for a degree in medicine. But in a few months’ time, she realised that it wasn’t meant for her. So she chose to pursue industrial psychology, instead, and her decision was considered nothing less of a ‘blunder’ in the 1980s. However, driven and firm as she is, Anuranjita paved her own path, and her perseverance led to success. With a brilliant career, an inspiring book for women aspiring to be something (and another book on its way), two supportive children and a husband- she is a hope for those women, who wish they could have it all!